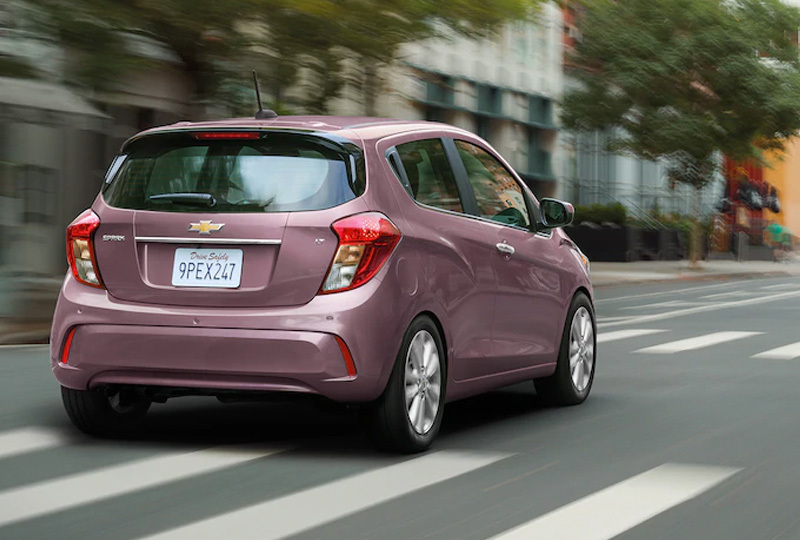 The 2019 Chevrolet Sonic from Jones Chevrolet Cadillac in Sumter, SC, serving Columbia, features a functional compact design that doesn't compromise on anything. 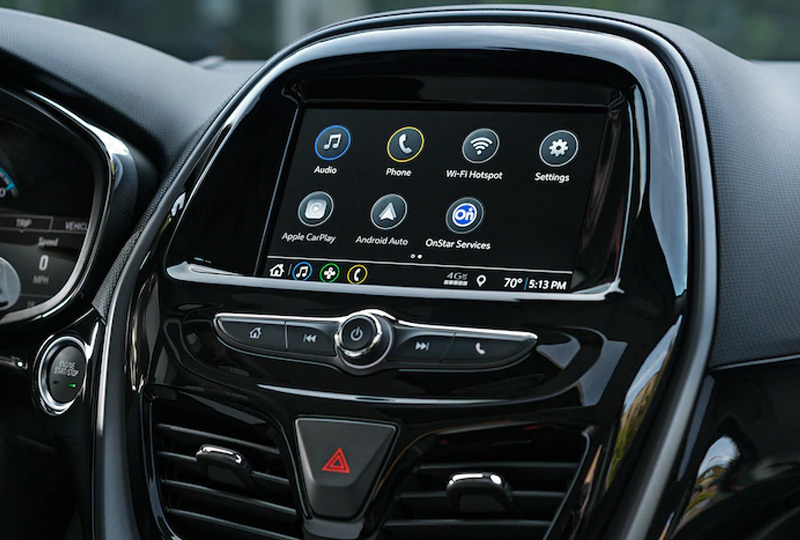 Make the most of your commute with clever tech features like the standard Chevrolet infotainment system that provides a large, 7-inch touchscreen display. Through the interface, you can access incredible smartphone integration features, thanks to standard Apple CarPlayTM and Android AutoTM compatibility. Use standard remote keyless entry to access your vehicle quickly and take your seat behind the wheel to experience hugging comfort from your cloth-trimmed seats. The 1.4L ECOTEC® turbocharged engine accelerates your drive with nimble responsiveness, thanks to 138 horsepower and up to 38 MPG on the highway with an available 6-speed manual transmission.1 Enjoy other standard features, including a rear vision camera display and the built-in 4G LTE Wi-Fi® hotspot. New auto loan rates are lower than ever, and we've got amazing deals you have to see to believe. You can take your test drive today when you visit our showroom at 1230 Broad Street in Sumter. We can make your dreams of owning a 2019 Chevrolet Sonic come true! 1 EPA estimate for Sonic Sedan with the available 6-speed manual transmission. 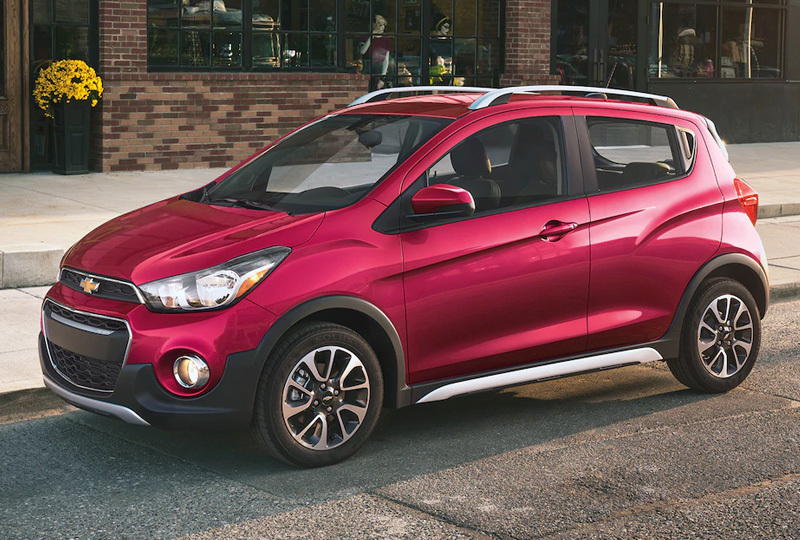 Bold design and vibrant new colors like Caribbean Blue Metallic,1 Orange Burst Metallic,1 Raspberry,2 and Passion Fruit make Spark the subcompact car that's easy on the eyes and hard to ignore. Nimble handling and an efficient, EPA-estimated 38 MPG highway3 make the fun-size Spark the perfect car for hitting the open road. 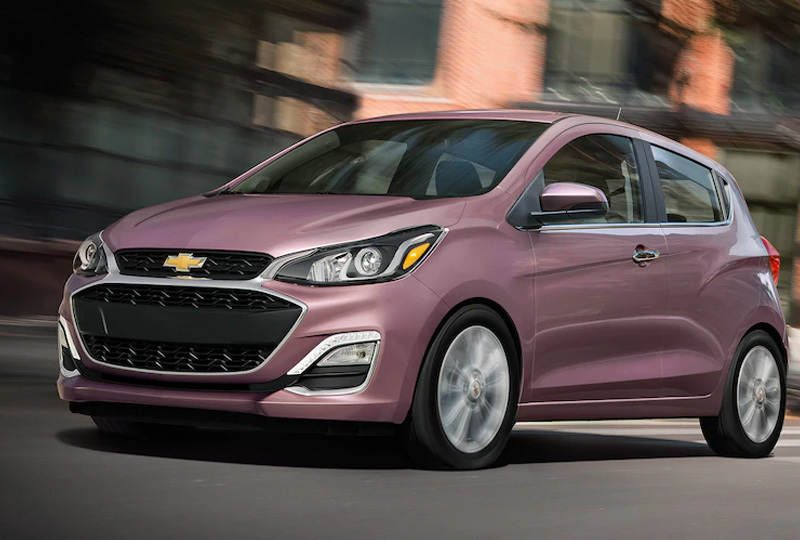 Offering available 4G LTE Wi-Fi®5, two USB ports6 and seamless connectivity with the available Chevrolet Infotainment 3 system,7 Spark is ready to keep you charged up and in the know even when you're on the go. Spark may be small, but with 10 standard airbags4, a high-strength steel safety cage and available advanced active safety features, it can help you stay safe on your next big adventure. *MSRP excludes tax, title, license, dealer fees and optional equipment. See dealer for details. 3. EPA-estimated 29 MPG city/38 highway with 5-speed manual transmission and 30 MPG city/38 highway with available Continuously Variable Transmission. 4. Always use safety belts and child restraints. Children are safer when properly secured in a rear seat in the appropriate child restraint. See the Owner's Manual for more information. 5. Service varies with conditions and location. Requires active OnStar service and paid AT&T data plan. Visit onstar.com for details and limitations. 6. Not compatible with all devices. 7. Chevrolet Infotainment System functionality varies by model. Full functionality requires compatible Bluetooth and smartphone, and USB connectivity for some devices.